All night long! This song must be buzzin' in your head right now, so there's no way you could miss Lionel Richie's "Hello Tour". This tour is slated to happen at the DTE Energy Music Theatre on Sunday 30th June 2019. This show is not just a blast from the past. Richie's extensive catalog of smash hits are still very much in the now and is guaranteed to induce a massive sing-along. Truly worth the wait. Catch this show while you can; book your tickets now! 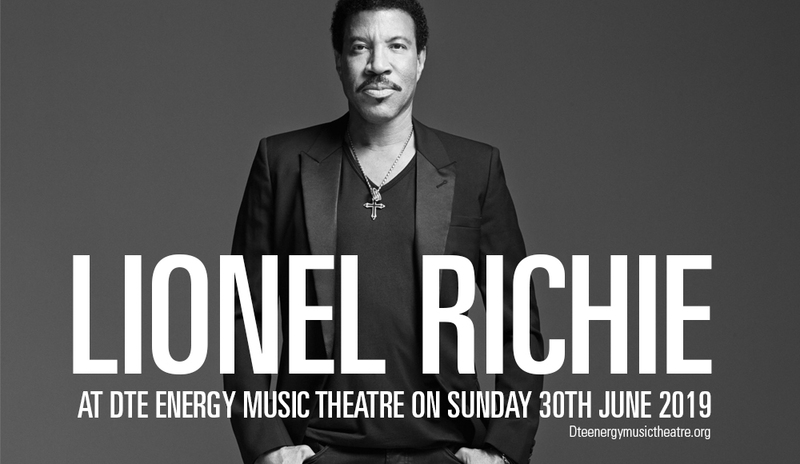 Lionel Richie was a dominant music force as he stormed the charts with hits starting with his stellar stint with one of Motown's finest RnB vocal groups, The Commodores, then as he pursued a solo career. Richie is said to be one of the most charismatic poster boys of RnB balladeers of the 80s. His songwriting genius delivered a slew of hit-after-hit-after-hit! You heard / read it right, straight from the singer's mouth, that this show will raise the roof and you may just find yourself dancing in the ceiling! Don't miss out on all the fun. Go, buy your tickets now!